MEETINGS between the ministers of police, labour and mineral resources with labour unions regarding violence related to a strike in west Johannesburg’s Carletonville were set to continue today in an effort to resolve the four-month strike. The inter-ministerial committee met with the Association of Mineworkers & Construction Union (AMCU) and its rival union, the National Union of Mineworkers (NUM) on March 14 following prolonged violence in the region. AMCU called a strike at the premises of Sibanye-Stillwater’s Driefontein mine on the west Rand and in the Free State province at the company’s Beatrix mine in November. Since the strike was called, there have been incidents of intimidation, violence to property as well as union member fatalities. 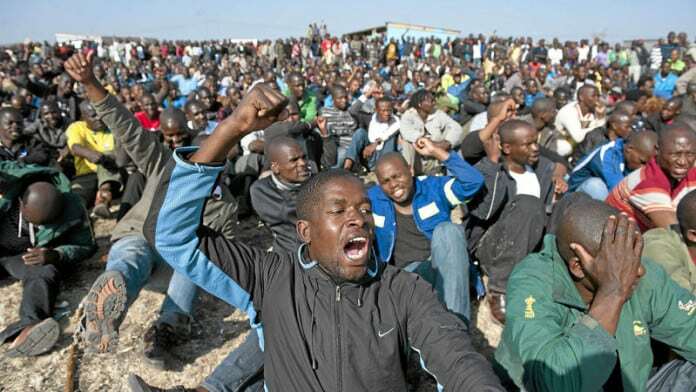 “Under normal circumstances, a strike is resolved through collective bargaining by the relevant unions and management, however, the situation in Carletonville has become abnormal and escalated to violence, hence the decision to bring in the Minister of Police,” the Department of Mineral Resources (DMR) said in a statement. “The main priority is to ensure that the strike is resolved and that the situation around Carletonville can be stabilised and return to normality,” it said. “Peace and stability are critical for the long-term sustainability of the sector, and government continues to urge all parties to engage in a manner that is peaceful, with respect and tolerance for different views,” it said.